1. Our favorite pint-sized movie-reviewer Michael gives his mom two thumbs up! Color Michael from What's In The Bible? 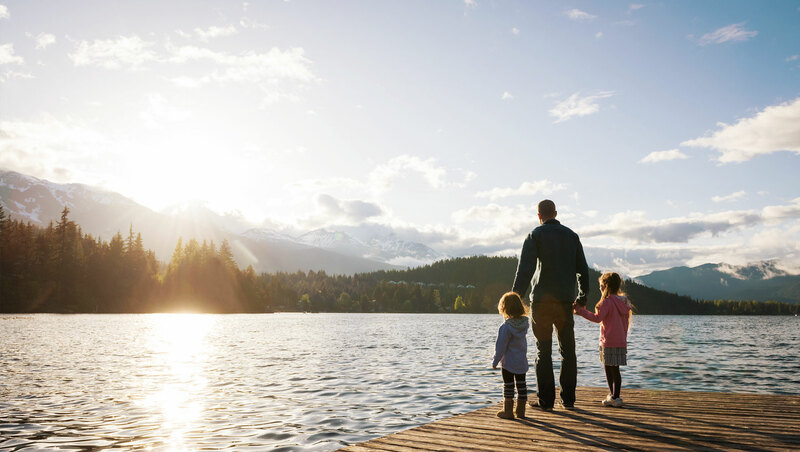 amid flowers for Mother's Day. 2. TwistyNoodle.com offers up a range of Mother's Day coloring pages featuring teddy bears and gifts - even a page to color for grandmothers! 3. 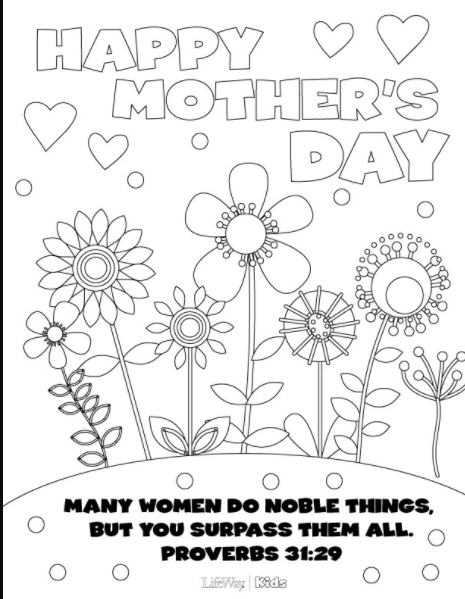 We love this collection of Mother's Day coloring pages from Lifeway Kids including this beautiful one featuring a verse from Proverbs 31. 4. 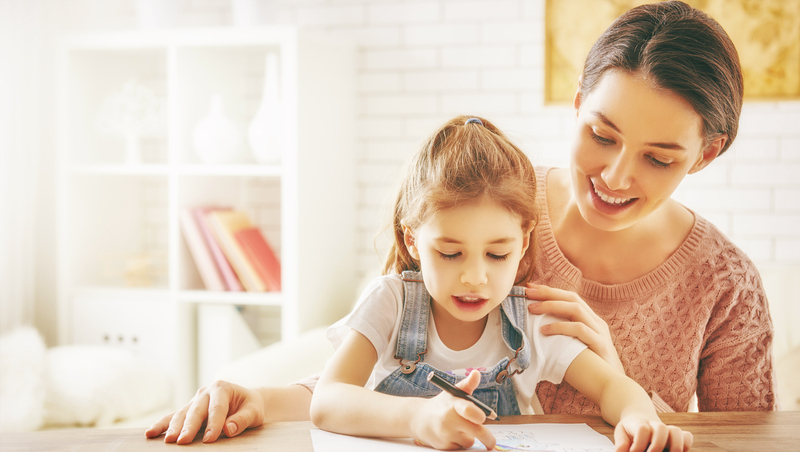 From deer and turtle families to sons presenting flowers and balloons to mom, Crayola offers 7 fun coloring pages for Mother's Day. 5. A loving family of bears hug in this flowery Mother's Day coloring page from sheknows.com. 6. Color flowers for mom and find a variety of moms (active mom or new mom, for example) to color at coloring.ws.